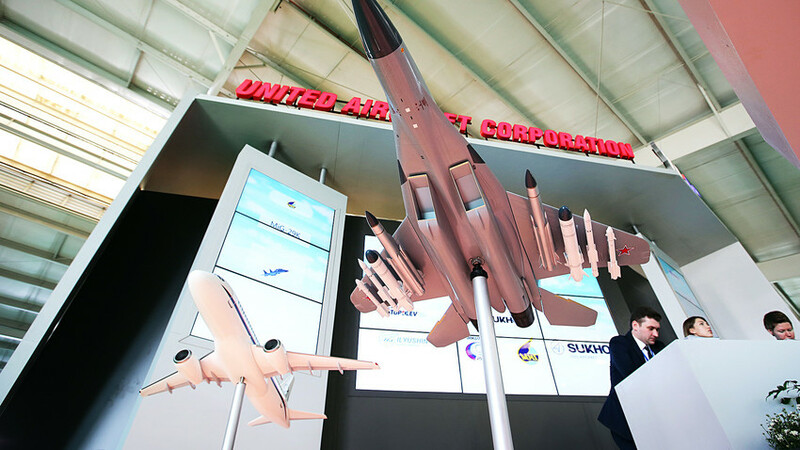 United Aircraft Corporation (UAC) stand at the FIDAE 2018 aerospace exhibition held at Comodoro Arturo Merino Benitez International Airport. New-generation missiles and heavy-duty firing systems were the main attractions at FIDAE-2018 in Chile, where Russia set its sites on winning multi-million-dollar contracts from nations in the region. FIDAE-2018, the International Military and Aviation Technology Exhibition, closed on April 8 in Chile. Russian weapons manufacturers were there to convince generals and politicians that its wares are at least as good as those from the U.S. and Europe, and in some ways even better but at a much lower cost. So which weapons did the Russians bring to Chile? A TOS-1 "Buratino" heavy flamethrower system. The Buratino TOS-1 heavy-duty firing system was one of Russia’s top draws at FIDAE-2018. As a member of the family of killer tanks, this system can stick its “nose” into any hole, just like the fairytale protagonist. 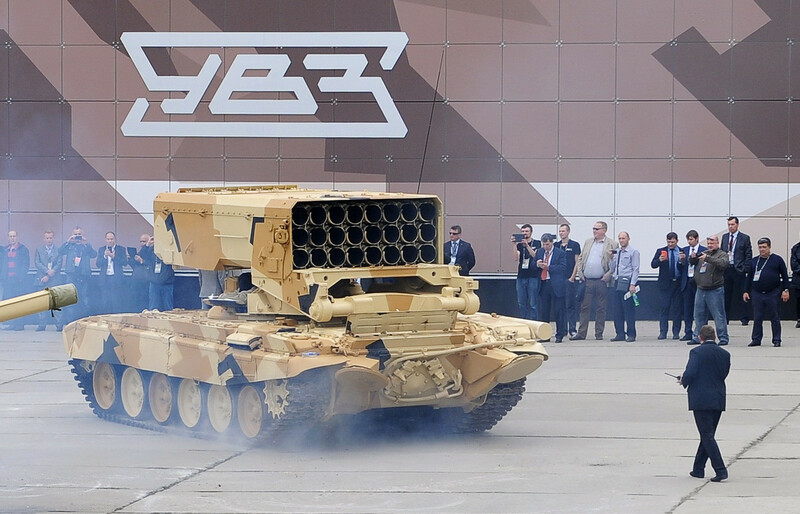 While modeled on the T-72 tank, instead of a gun turret it’s equipped with a launcher that can shoot thirty 220-mm rockets. In just a matter of seconds this system unleashes a hurricane of fire onto enemy positions. With a thermobaric mixture, these rockets literally shred their target apart with fire, blast waves and shrapnel. The real inferno begins later, however. The thermobaric charge in each rocket forms a “mixture-air” cloud that explodes, creating excessive pressure and a temperature of about 3,000 degrees Celsius that burns all oxygen in the vicinity, drastically reducing air pressure. In the area around the epicenter, (a diameter of about several kilometers), nothing escapes. Any machine and living creature will be annihilated. While the Buratino TOS-1 shown at this exposition is a model, its powerful 220 mm rockets, which can create “hell on earth” at a distance of up to six kilometers, were demonstrated in full force. “This is a so-called weapon of retribution. The systems are so powerful and destructive that they’re used only in the most dire combat situations when you might not win the battle, and when the issue of survival is at hand,” said Dmitri Safonov, a former military analyst at Izvestia newspaper. Together with firing systems and missiles, Russia also showed off its next-generation S-80FP unguided air-to-surface missile. With a caliber of 80 mm, it’s equipped with a high-explosive fragmentation warhead. 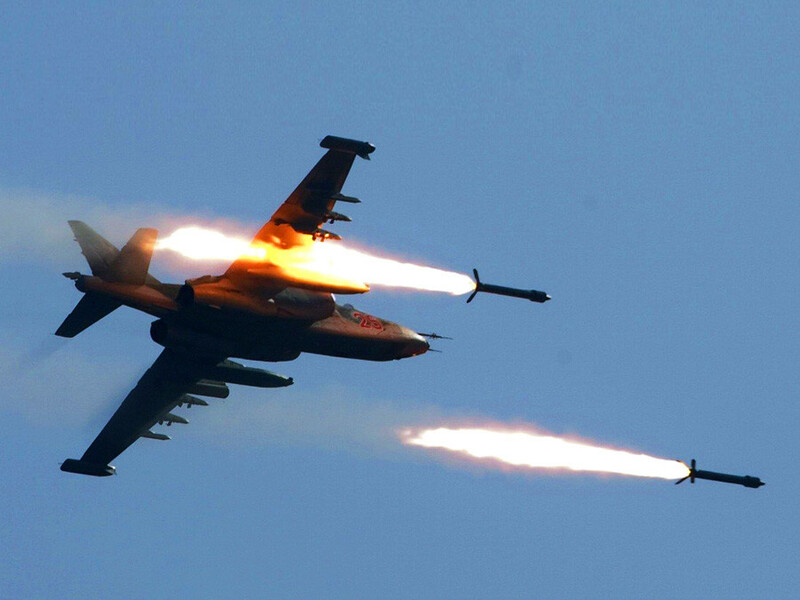 This missile can be used by any Russian military jet (Su-24. Su-25, Su-27, MiG-23, MiG-27, MiG-29), as well as by transport and combat helicopters ranging from the Mi-8 to Ka-52. It can also be used to strike solitary or group targets, ranging from the enemy’s infantry or light-armored technology. “It allows the pilot to strike land-based targets. The S-80 functions everywhere and in any conditions, even at temperatures from -50 to +50 Celsius, which is very important in modern warfare when electronics and components are extremely sensitive,” explained Safonov. The missile’s power has increased nearly twofold compared to earlier models that fighters and bombers in the region were equipped with. “All this was made possible thanks to a new engine that increased the missile’s range. The new model is smaller and lighter than its predecessors and equivalents. Thanks to all of this, it can be appealing for the armies of South America,” noted Safonov. The S-80FP can hit targets at a distance of 6,000 meters, and Safonov believes they can serve as a basis for creating a future series of new generation guided missiles for fighters and bombers.